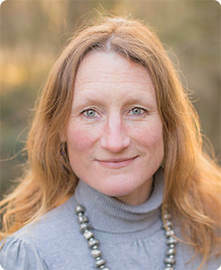 I work in Cheltenham as a psychotherapist, couples counsellor, and life coach on Mondays, Tuesdays and Thursdays and have appointments during the day and in the evenings. Sessions are usually on a weekly basis but sometimes fortnightly slots are a possibility, especially if we have worked together previously. The frequency of life coaching sessions would be mutually agreed, depending on your needs, however can be on a less frequent basis. In Cheltenham I practice at the Practice Rooms which is a lovely space on a quiet street in the centre of the city. Sessions are held in a spacious, beautiful and peaceful room which provides an ideal therapeutic setting. I offer the flexibility of telephone or Skype sessions if you are unable to meet with me face to face e.g. due to health, childcare, or work scheduling issues. I can usually offer Skype or phone sessions on different days of the week. The initial telephone consultation is up to 20 minutes. 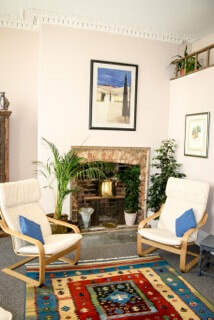 Each couples counselling, psychotherapy or life coaching session is 50 minutes. I am also open to offering longer sessions e.g. 80 minutes, which often allows for deeper work. For counselling, psychotherapy, or life coaching the investment is on a sliding scale from £50- £55 per session. For couples therapy the investment is on a sliding scale from £60 - £70 per session. I am a registered provider with Aviva, WPA, and BUPA insurance, so if you have cover you may be able to claim for the sessions. Otherwise if your work, legal claim or health insurance is paying then the fee for counselling is £65 per session. ​If you cancel a session, with less than a week’s notice, you will be required to pay for this unless we can find a mutually convenient alternative time that week. My intention is to offer the best balance between consistency and flexibility. If you have any questions please do not hesitate to make contact.